A two bedroom first floor flat in a prime coastal location offering uninterrupted sea views across Mounts Bay. The property is close to all local amenities and only a stones throw away from the ocean and coastal walks. Viewing's are highly recommended to appreciate size and layout. EPC rating E. A two bedroom first floor apartment in a prime coastal location offering uninterrupted sea views across Mounts Bay. The property is close to all local amenities and only a stones throw away from the ocean and coastal walks. Viewing's are highly recommended to appreciate size and layout. 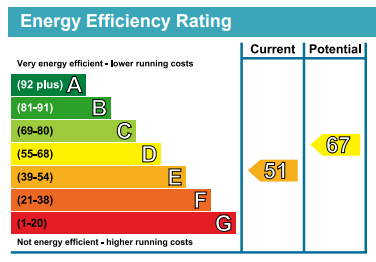 EPC rating E.
The main access is through a shared communal hallway and stairs case leading to the first floor. Upon access to the apartment you enter a central hallway which gives you access to all other rooms. A small however well equipped kitchen is located to the rear of the flat offering built in oven and hob, fridge freezer and a good range of wall and base units. The bathroom and main double bedroom is also located to the rear, bathroom offering bath with shower over, hand basin and WC. The bedroom is a good size and features a built in wardrobe. A spacious lounge dining room is located to the front of the apartment and offers outstanding sea views with the second bedroom accessible via sliding doors also featuring sea views and built in wardrobes.